KinoKandles is a provider of highly scented soy candles that are environmentally friendly and customizable to suit client needs. Our candles are made with the best available materials found in the market to ensure a pleasurable candle burning experience. 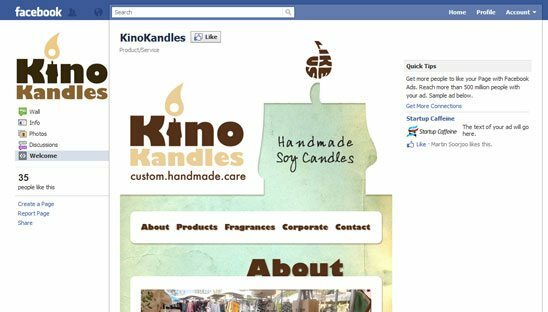 In this Multi tab FBML facebook design we added tabs within the main tab showcasing Kinokandles products, about info, fragrances, contact info and much more.